Playdead's critically acclaimed black and white platform puzzler Limbo hit the App Store this morning. 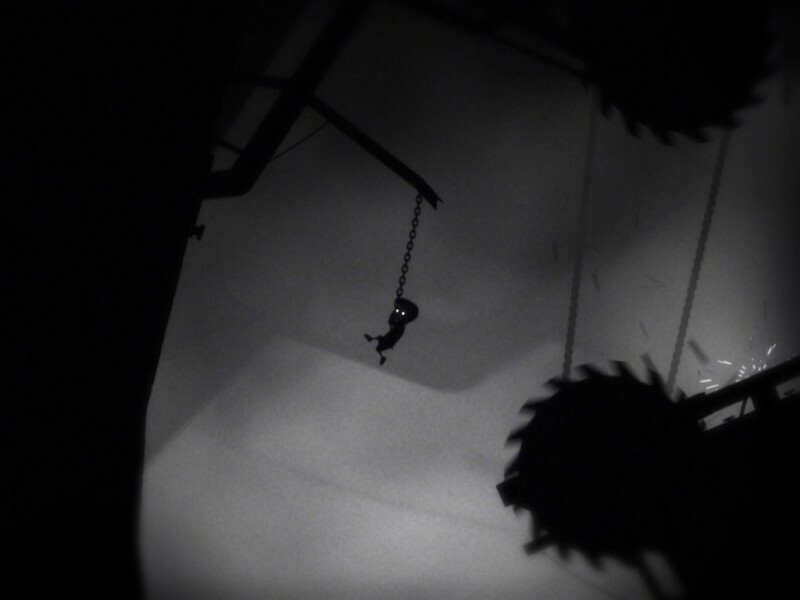 Originally released for the Xbox 360 in 2010, Limbo is a 2D sidescroller that asks gamers to help a nameless boy navigate a number of dangerous obstacles in search of his sister. Our sister site TouchArcade played the game last week and noted that the iOS version of Limbo incorporates the same award winning gameplay that made it a hit in 2010 along with intuitive touch controls. Limbo made a lot of waves back when it first hit Xbox Live Arcade in … wow, 2010? Yep, it hit in 2010. Anyway, folks loved its iconic look, dreamlike scenarios, and downright devious puzzle design, which often forced you to suss out a solution by dying. Thinking back, it was kinda a mean game but I loved it. Now, Limbo is coming to iPhone and iPad, and we're pretty stoked to report that all the things that made Limbo the celebrated game it is today are all present. The only tweak we've noticed so far, actually, are the controls. On touch devices, you swipe and drag on the screen to jump, pull, push, or walk side-to-side. It's more intuitive than it sounds. This looks like a total copy of Limbo with a few tweaks... I'm not inspired to play. Loved playing this on the PS3, would seem to translate very well to the touch controls of iOS. And just for the graphics alone this is a worthwhile game to pick up, awesome puzzle game. This is great! Would love to see another game from them soon! This was a great game. I played it on my Mac. System requirements seem a little steep. There's not much to this game. Would purchase if I could. The system requirements don't surprise me. There's a lot of interesting stuff going on graphics-wise and it really needs to run smoothly. Excellent! I have this game on my computer and its great but can never find an excuse to play it. Now just bring FTL to iOS and it'll be indie heaven! apple is bringing really awesome games to their app store. awesome graphics + great detail + puzzle = this awesome game. i highly recommend it, it's a great game, kept me glued to my phone for the whole day. This game is art. Everybody should try it out, nice work.